2.35 crore is the Aadhar number in neediest BIMARU states (Bihar: 20 lakh, Madhya Pradesh: 1.2 crore, Rajasthan: 97 lakh and UP: 98 lakh). 16-45 years. Those above 66 years, who are needier, account for just 4.3% of numbers issued. The Rs 12,000-crore uid scheme remains outside Parliament’s ambit. Some feel Aadhar not following proper rules, procedures. States divided over Aadhar, even Congress-ruled ones. P. Chidambaram’s NPR opposed to its methods, data, objectives. Coverage of Aadhar not complete even in showcase states. Charges of flawed data collections; mismatch of technology. Issues of privacy, security of personal data still shrouds Aadhar. Fate of those who haven’t registered for it unclear. 51 districts from January 1. Next 18 states by April 2013. PDS, health and fertilisers to come in later. Before becoming the chairman of the UIDAI, Nandan Nilekani famously wrote about the need for a national ID system in his book Imagining India. He invoked that immortal statement by Rajiv Gandhi that only 15 paise of every rupee earmarked for the poor actually reaches them. And went on to doff his hat to his son, “In 2007; his (Rajiv’s) son, Rahul, offered his own estimate, saying that now a mere five paise of every rupee spent reaches the poor in some districts.” Well, it’s payback time. 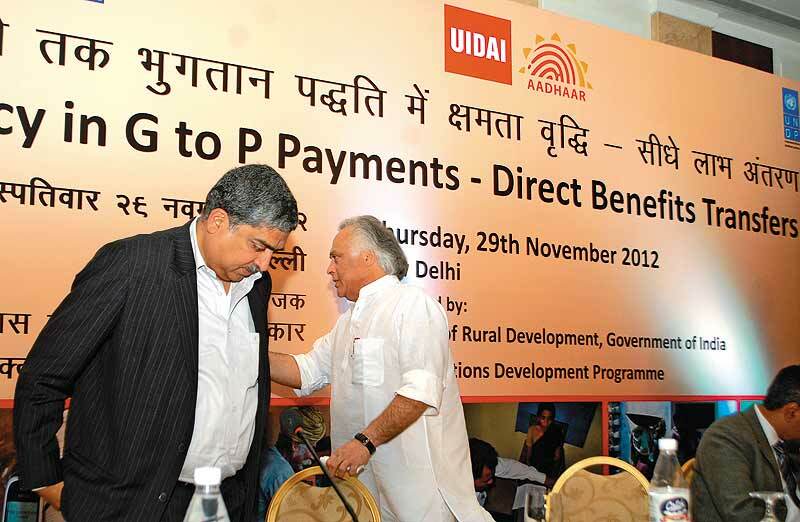 One only has to look at the grudging respect the Congress has earned from its political rivals for its Next Big Idea: the plan to ride on Nilekani’s Aadhar card to roll out Direct Cash Transfers (DCT) to the poor in 51 districts—and later nationally. And all within sniffing distance of the fast approaching 2014 polls. There’s no doubt in most observers’ minds that this move to give cash to India’s poor is all about power, politics and winning elections—and not (at least at the moment) about reducing subsidies, eliminating wastage and corruption. Union minister for rural development Jairam Ramesh—who coined the slogan ‘aapka paisa, aapke haath’—lost no time in announcing that Rahul Gandhi would visit the 51 districts (20 per cent of which are in the politically sensitive states of Maharashtra and Andhra Pradesh) where DCT would be rolled out initially. Aadhar is being touted as the “magic formula” to enable the “game-changing” DCT. Clubbing the two serves a key purpose—legitimising the Aadhar card, which has morphed from being a mere identity document to a service-delivery engine in a short while despite criticism from bureaucrats, policy experts, activists, even a few state governments. That Aadhar has top political backing is evident from Union finance minister P. Chidambaram making the announcement on DCT just a few days ago. Only last year he had made a scathing attack on Aadhar’s legitimacy, saying it was not following proper procedure and involved issues of security. Remember, the National Identification Authority Bill is yet to be cleared by Parliament, which is supposed to give Aadhar its powers. It’s only when the government replaces the growing food, fertiliser and fuel subsidies (see chart) with cash that the “game-changing” idea will face its litmus test. 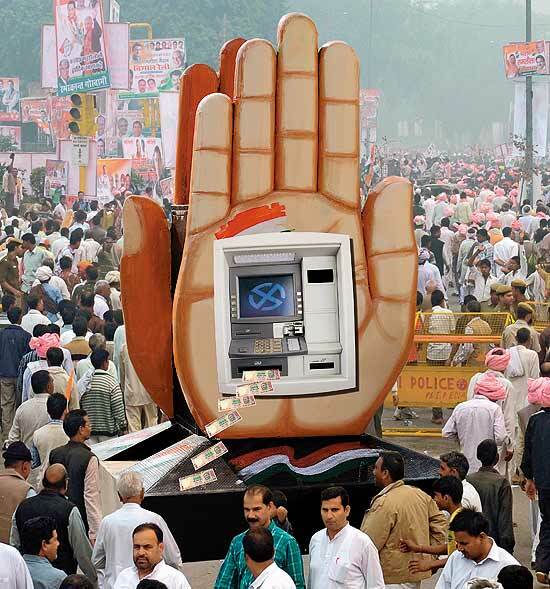 It will not, of course, stop the UPA from going to the polls offering the promise of cash/benefits directly reaching the poor. Supporters of the government’s move also feel that it is time India found an alternative to the age-old public distribution system which is hobbled with leakages and corruption at all levels. Officials in the PMO say that the Aadhar-enabled payment system would help weed out fake beneficiaries and ghost ration cards. Citing a study by the National Institute of Public Finance and Policy (NIPFP), which holds that integrating Aadhar with welfare schemes is likely to yield a 52 per cent return to the government on that investment, even after all costs are accounted for, the official says, “Surely it makes no sense to spend three rupees to deliver one rupee.” Another key argument in favour of cash transfers is that it empowers the poor with choice. However, there still remains the issue of bank accounts. The last census shows that only 54.4 per cent people in rural areas have bank accounts. Bank branches too are not evenly distributed, with too many of them, say, in the constituency of former finance minister and now President Pranab Mukherjee and too few of them elsewhere. At least some of the rural branches are located too far apart, forcing people to waste several hours commuting and waiting to collect cash, having to forgo daily wages in the bargain. The government hopes to bridge the gap through “business correspondents” appointed by commercial banks. The banks seem to have taken to the idea because it is more cost-effective than opening a rural branch or maintaining a physical ATM. The correspondents will use hand-held devices to help authenticate the identity of the beneficiary and the credit balance in his bank account. Much of the success of DCT will depend on how this system will work. At a broader level, not many share the government’s optimism about cash transfers as a modern way of disbursing subsidies. “Cash transfer is not a silver bullet for dealing with corruption. The identification of who will receive these transfers is still not clear. The government has been spectacularly unsuccessful in identifying the beneficiaries,” says social activist Harsh Mander. The fact that the government has announced the goal without actually defining the route is a cause for concern. Mander, for one, feels that it is erroneous to think of cash transfer as a substitute for provisioning public good—healthcare, education and food—without first putting a system in place. The danger in not doing that is because the PDS is associated with the system of minimum support price (MSP) for farmers and price stabilisation which the government ensures. With the government procuring high amounts from farmers for PDS, an alternative use for that grain would need to be found. Likewise, the physical infrastructure of the six-decade-old PDS (thousands of stores all over the country and lakhs of employees) would have to be put to some use. There would be other issues too, especially regarding prices and supply. Many economists are arguing that a system of cash transfers—as opposed to goods and services—will increase inflation in the economy. Says Vijay Mahajan, social entrepreneur and CEO, Basix, “By direct cash transfers, you are placing a large part of the demand in the hands of the poor while supply is entirely in the hands of the private sector. Unregulated supply led by the private sector could be dangerous as there could be high prices, bad supply and bad services.” Similarly, in healthcare too, there is a possibility of medical services becoming out of reach. Also, cash transfers will not guarantee that the cash given for a purpose is actually used for it. According to many social activists, experience shows that delivery of food—rather than cash—is more likely to end up as food in children’s stomachs. Too much choice may not be desirable for very poor families—a recent experiment in cash transfers in a Delhi slum met with a mixed reception, with many women (the intended beneficiaries) saying they would prefer to get rations rather than deal with the many demands. Similarly, there have been negative reactions from at least one ‘successful’ pilot project cited by the UPA to claim that it has weeded out fake beneficiaries and reduced consumption, leading to savings. Crucially, despite all the brouhaha about Aadhar, it is yet to become sanctioned by law, and is by present definition not mandatory. Its coverage is not complete anywhere in the country, even in its own showcase states. There is still confusion over what Aadhar seeks to do. The fact that it wasn’t mandatory and had no services attached to it—like the pan card or the passport had—has discouraged many from getting into it. Nilekani, however, is clear in his thoughts on Aadhar. He had told Outlook last year, “We’re an identity authentication system. We only confirm that X is X. Other people can build applications on top of that.” Sure, conditional cash transfers have worked in other countries. Brazil is a good example. So is Mexico. Cash transfers, therefore, are not necessarily a bad thing. But in a country with so many poor (and poorer infrastructure), it’s not something that can be exclusivised and rushed through without thinking through the enormous consequences. Establishing (at least in mindspace) a direct link between New Delhi and India’s poor is attractive, particularly when elections are fast approaching. There’s also no denying that the present system of subsidies needs to be majorly improved upon. “This is our opportunity to bring in that change, but this might not be the way,” warns Mahajan. Poll gimmicks, however expedient and catchy, are not always the answer. One has to think of the morning after. The government’s decision to launch cash-based transfers based on Aadhar has drawn some criticism. Some concerns are valid, but it would help to focus on the collateral benefits of both initiatives which, in some ways, could dwarf the original stated purpose. Aadhar’s primary aim was to create a unique identity for Indian residents, so that the government could deliver benefits and subsidies directly, potentially saving thousands of crores of taxpayers’ money. But one of UIDAI’s key efforts has been to expand financial inclusion by giving 250 million enrollees (so far) the option of opening bank accounts with data they submitted during enrolment. This would be ancillary to the process of touching the unbanked millions by opening no-frills accounts. In the last two years, Indian banks added 70 million such accounts. Using Aadhar, identity for these no-frills banking transactions can now be authenticated in real time from anywhere, anytime—think of a Visa/Mastercard system which allows you access to your bank account from any ATM. Banks are already using Aadhar for this. Now comes cash transfers. RBI figures show only 40 per cent Indians have bank accounts. New accounts with authentication capability will help millions of Indians own active ‘financial identity’. Both Aadhar and cash transfers can kickstart a host of transaction-led services and therefore enhance the consumer economy. I would focus on those outcomes. Direct cash transfer is a welcome idea as it will reduce dual pricing. But let us not be too euphoric about the scheme as it has many limitations, while bringing a political advantage for the government. Firstly, the scheme would be used in programmes targeted at the poor where identification would be a huge issue. When you talk about kerosene and fertiliser subsidies but don’t have a methodology to identify the target people, it could become a problem. This cannot be done with Aadhar. It cannot identify the rural poor. It can only eliminate ghost entities. 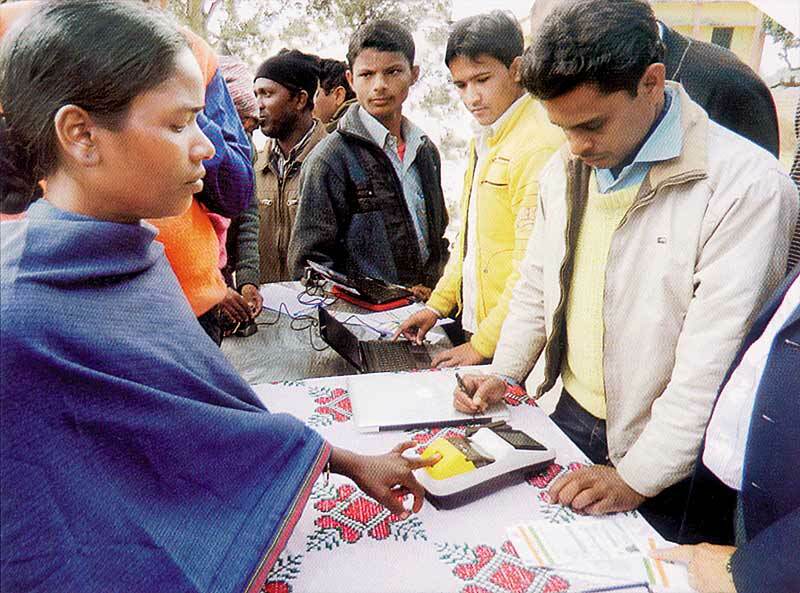 For cash transfer to work, you need to have a good system for identification of the poor. Also, if cash is given instead of grain, what do you do with the large amount of grains bought from the farmers? If you abolish PDS, you will also have to abolish MSP (minimum support price) as they are two sides of the same coin. In giving cash in lieu of PDS grain, we also need to look at issues like the grain rotting in our godowns and increasing open market prices. Even in healthcare, there could be the issue of doctors and hospitals charging more through tests and services. Direct cash transfer has worked in a few countries like Belgium and Mexico where the urban population is high. But these countries have a good coverage of bank branches. In India, many rural areas don’t have bank branches. Besides, banks also charge a commission for their services.